This week it was announced that we were one of the top “full-service” digital marketing agencies in Chicago. 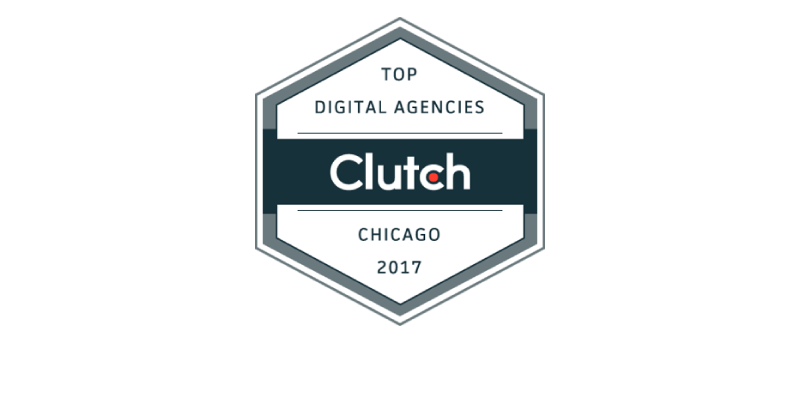 An industry review site, Clutch, does research annually to recognize the top web design and digital marketing agencies in Chicago. “As online presence is becoming increasingly important to businesses’ success, there is a growing need for strong digital partners,” said Michael Block, Analyst at Clutch. Check out the full report on Clutch and our company profile to see the full-length reviews and learn more about how we were evaluated. When DTC first started out, our only goal was to create campaigns that would provide a measurable difference for our clients. Ten years later this is still our #1 philosopy, and a main reason we have added to and adapted our strategies over the years. It’s a well known fact that to survive in the digital marketing space you must be fluid. The work we do today is vastly different than the work we did 10 years ago, and in some respects has even changed in as little as the past 10 months. We went from a team of 5 to a team of 19 with all different backgrounds and paths to DTC. Our experience is something that we are very proud of, with more than half our company being with us for 5 or more years that we have been in business. Special thanks to Clutch for recognizing us amongst a great list of colleagues. *DTC also appeared on their top Digital Marketing agencies list in 2016. Next Next post: Let’s Celebrate!